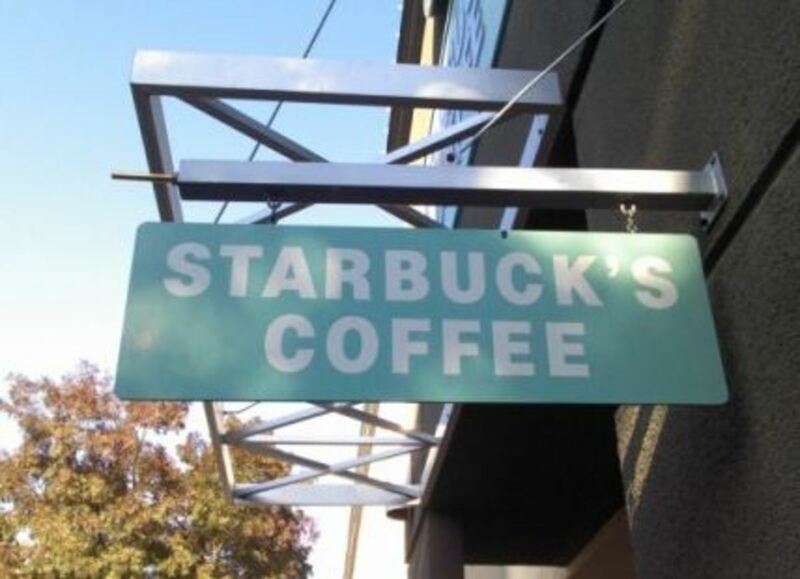 Many people use apostrophes without quite knowing where they should go. 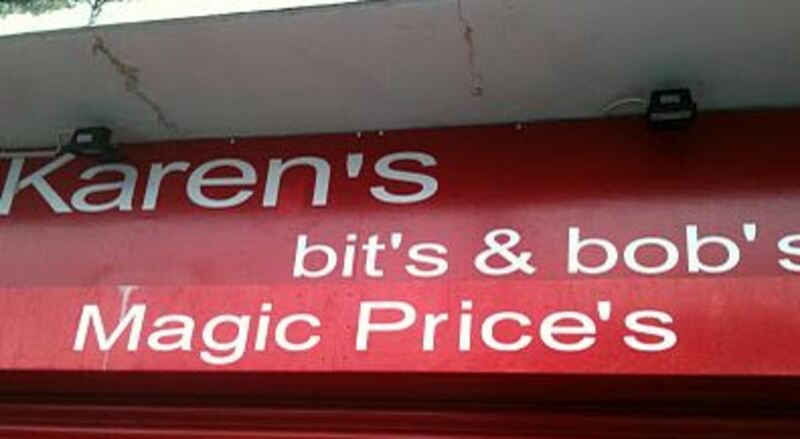 I'm here to help you become a better writer, and the poor, abused apostrophe seemed the best place to begin. 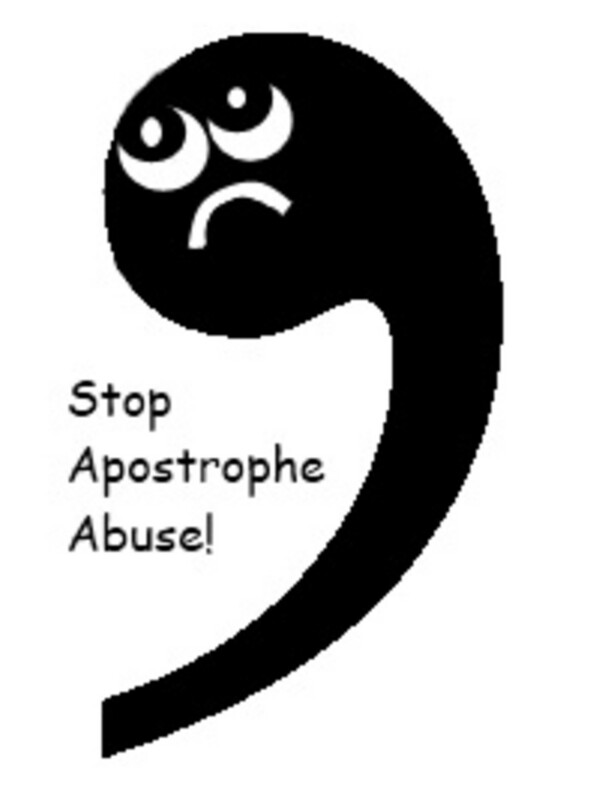 The apostrophe may well be the most abused punctuation mark in the English language, and is admittedly a constant irritant for Grammar Nazis like myself. You should have seen the shocked disbelief on my face during my first stopover at London's Heathrow airport. "Do Not Leave Bag's In Front Of Door"
I just about had a heart attack! Actually, considering the shock, I remained fairly calm (at least on the surface.) I nonchalantly glanced around to see if anyone else noticed this grammatical faux pas. Nope! 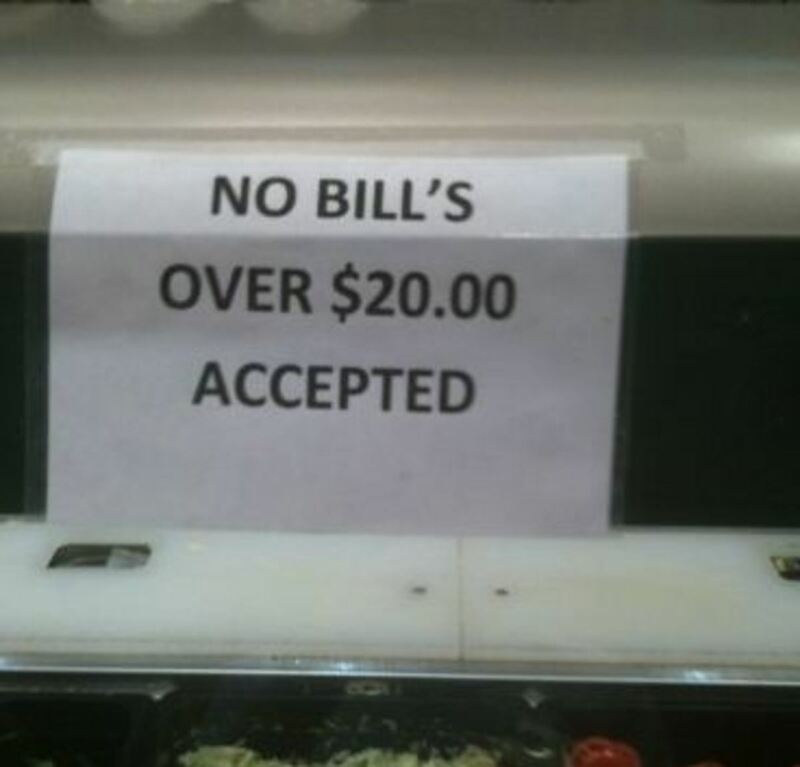 Nobody but me seemed to care that even here, is this grammatical mecca, the poor apostrophe was being mercilessly abused! The number one culprit, and therefore the number one rule of apostrophe use is to never use an apostrophe to pluralize a word. The plural of any word in the English language is accomplished by simply adding an "s." Really, everyone is making it way more complicated than it is! I got some new DVDs. The Joneses are coming over. All kids are invited to the party. How many "i"s are in the word Mississippi? Sale on watermelons, peaches, and apples. I got some new DVD's. The Jones's are coming over. All kid's are invited to the party. How many i's are in the word Mississippi? Sale on watermelon's, peache's, and apple's. Some would argue that to make a single letter plural you should add an apostrophe. However, this is incorrect. The accepted method is to put a quotation mark around the letter as shown above. To make someone's last name plural that already ends in "s," add an "es" on the end: The Joneses, The Adamses, etc. Now that we know not to put an apostrophe into the word "contractions," let's learn about how to use apostrophes to indicate where missing letters should be. Well, it was down to me and two other kids and I was flying high--until they threw a wrench into my carefully planned shellacking. "How do you spell the word dogs in this sentence," they asked: "The two dogs' bones." It just didn't seem right for them to ask me such a stupid question. I had no freaking idea! Well, from that day on I decided to conquer the beastly possessive apostrophe, get to know it, and make it learn who's master! The rule of thumb is if you're talking about one thing, put the apostrophe after the one thing. If you're talking about plural things, put the apostrophe after the plural things. Single (one brother): My brother's room is a mess. Plural (two brothers): The brothers' fighting needs to stop. Another way to visualize this is to say it differently to yourself. Single: My brother, his room is a mess. Plural: The brothers, they need to stop fighting. If Kate has two apples, they are Kate's apples. My brother has two computers; they are my brother's computers. If both of the kids own laptops, they are the kids' laptops. My students are getting good grades; the students' grades are good. If a word is already plural (children), treat it as a single word: The children's coats were all muddy! 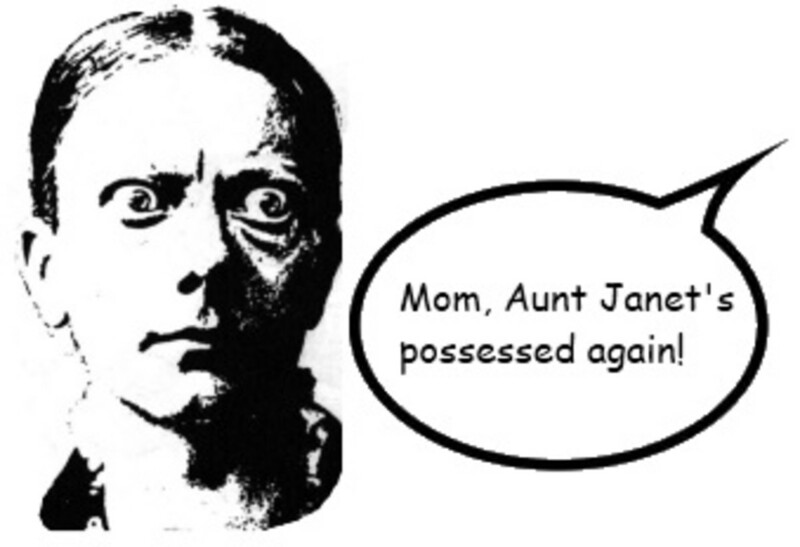 If a last name ends in "s," add an apostrophe after their name to show possession: The Jones' dog ran away. That's the standard, but the following is also accepted: The Jones's dog ran away. Whichever method you choose, be consistent. That sound? It's just the cat clawing its scratching post. Wait; that's the couch! Holy mackerel, it's time to end this apostrophe lesson! Its time has come. So glad I found your hubs - I look forward to reading all of them, and linking them whenever I can. 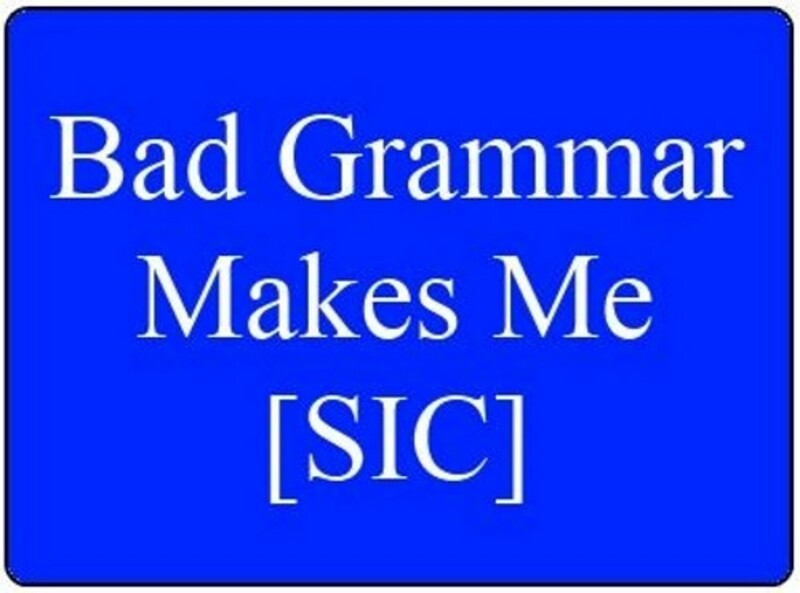 As with you, I'm a Grammar Nazi; certain things drive me crazy! Voted up, useful and interesting. Yes, Jaye, that makes you an honorary Grammar Nazi, if the term suits you. 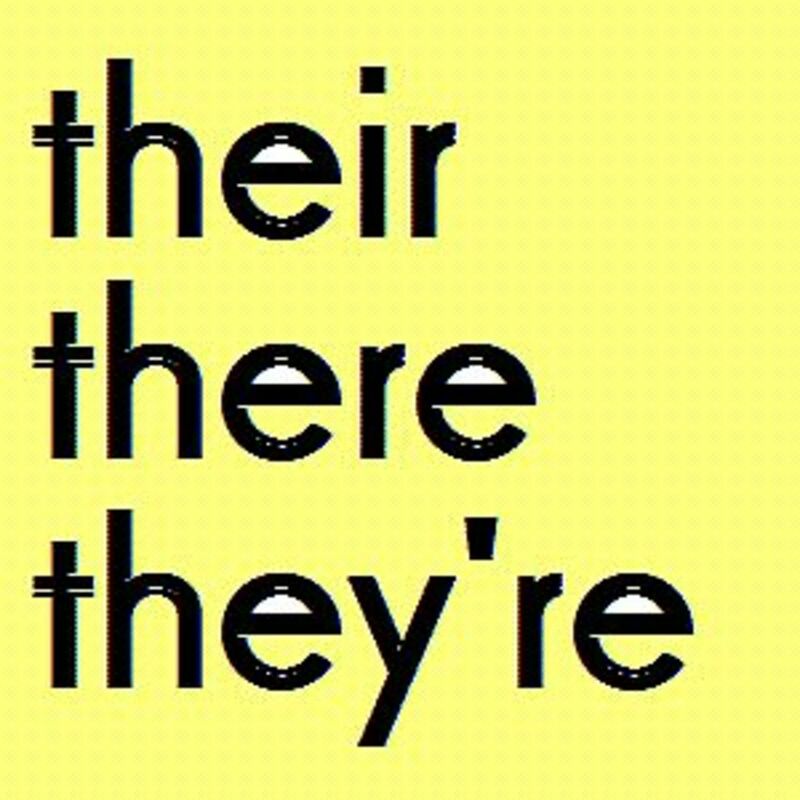 We need more people who are irked by bad grammar, in my opinion! Thanks everyone for the comments; I'm glad I could help! Thanks for spreading the word about how NOT to use the apostrophe. Misuse of this punctuation mark is prevalent and one of my pet peeves. Does that make me a "Grammar Nazi", too? I always considered myself quite good at the English language, but this proved to be quite an eye opener!! Good hub! It may be because it's one rule of grammar that I think I actually understand perfectly but the misuse of apostrophes does irk me. So, too, does the flagrant abuse of exclamation marks following the rise of email and text messaging. @Faceless39, thanks for the link. I tried it out and it works fine except that its not as good as the commercial one i saw. All it does is give suggestions as you type but it would be great if it could allow for checking for errors in the entire document after ones finishes typing. These are really good. Some of them I didn't know before. I'm glad I read through this hub. 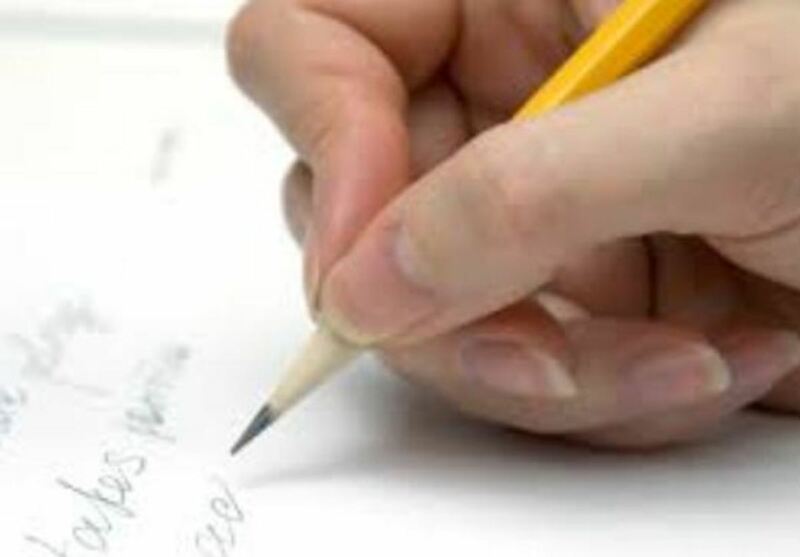 BY the way, do you know of a good free spell checker tool that is better than what i have in MS office? I saw one advertised by Google on this hub (grammarly.com)and it looks so powerful but it is too expensive. Very well written & most helpful. I dun know what I do with em either so I make it up as I go. Now I have a source to understand, ty. At work will be back, bookmarked, to read at home tonight - thanks! Great Hub! When I run my spell checker it always try to correct my word "wouldn't", and "couldn't", but it suggests the same spelling. Am I right or wrong on this?? I get confused about quotation marks a lot. Very informative Faceless 39, please do one on exclamation points!!!!! Thanks for all the awesome feedback! 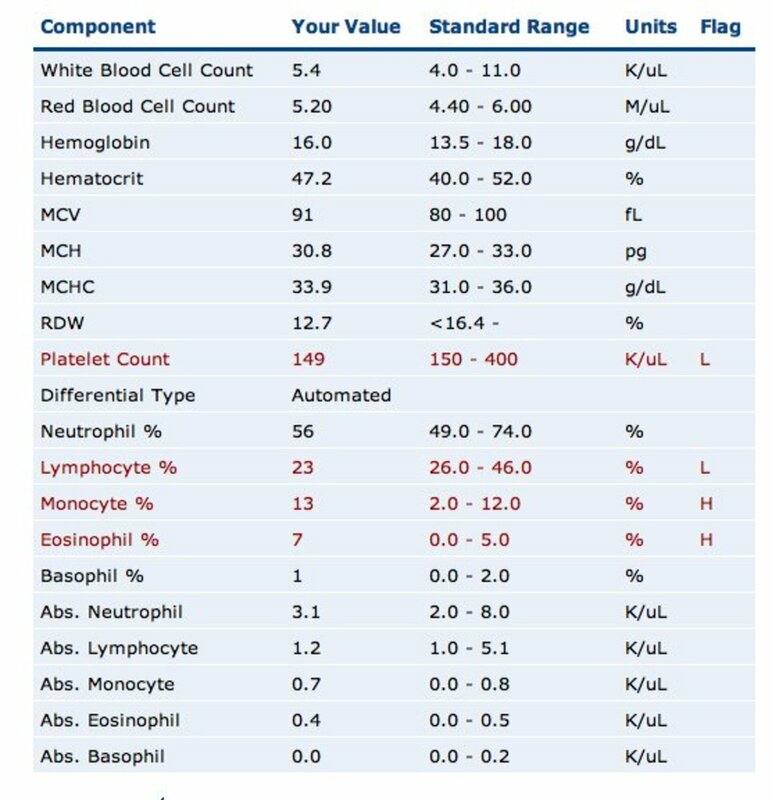 I really tried to make it easy, so I'm glad that seems to be the case. If anyone is stuck on anything, please leave your questions in the comments section. Great hub, very well explained. Thank-you. This is good quality, well worth the read. I press the green button that is really a use ful hub.Keep it up! Wow! Am so much informed! I had no idea that you can not use contractions in scientific papers...Now i know. I think i will be reading more of your hubs because i really need to improve my grammar...am waiting to read your hub on the comma, especially how to use it in lists e.g if to use it before and or not - it always confuses me!